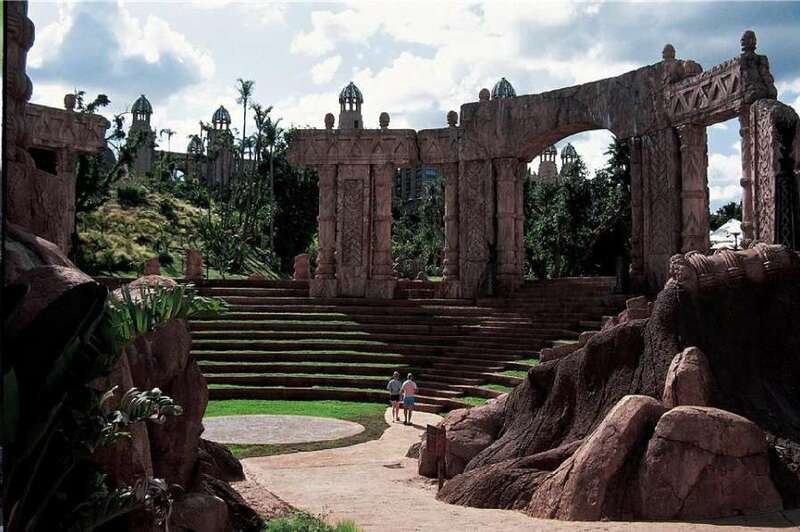 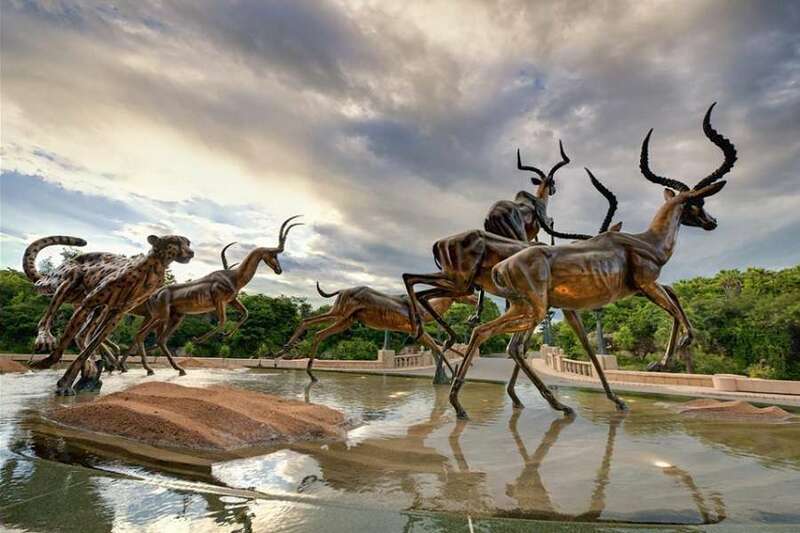 The Palace of the Lost City situated in the North West Province of South Africa is a fantasy world conjured out of African myth. 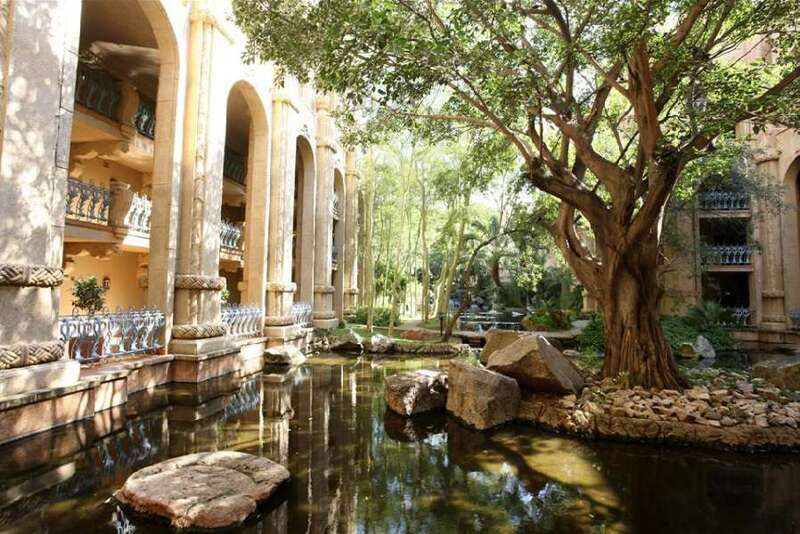 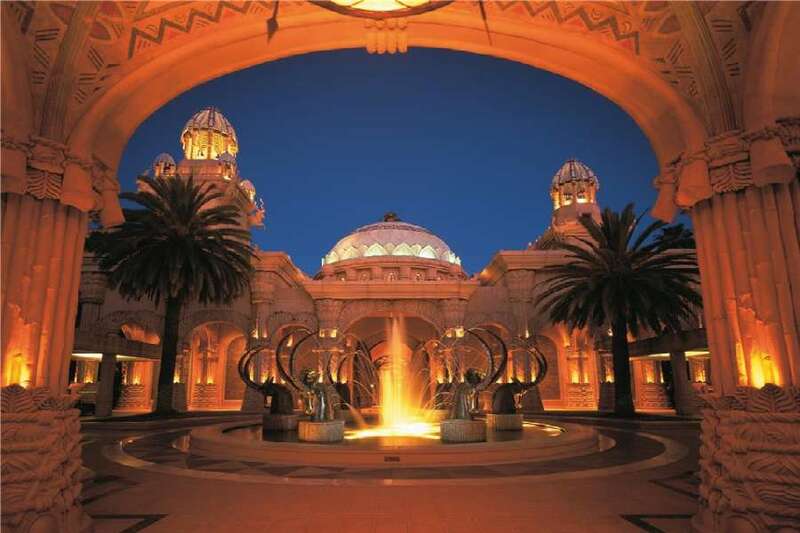 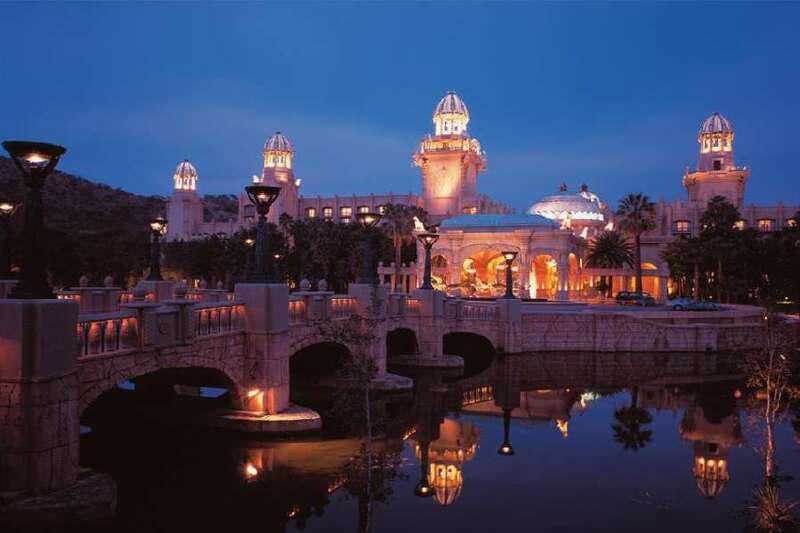 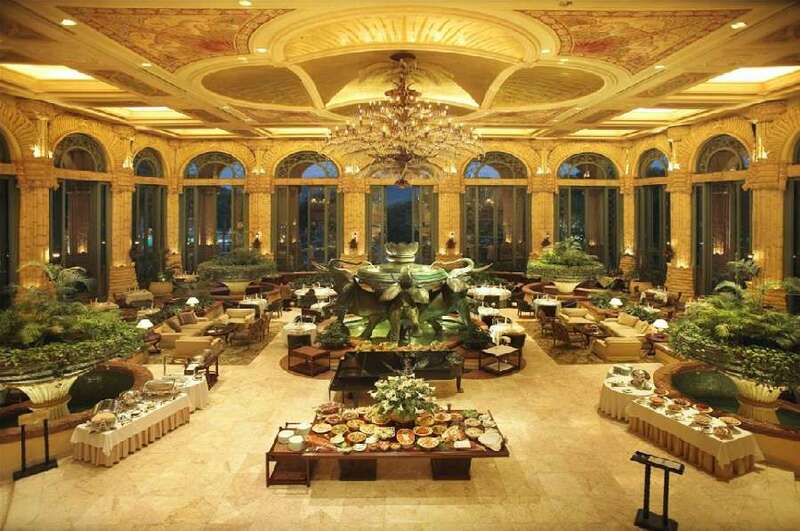 Fabled to be the royal residence of an ancient king, this is truly the most extraordinary hotel in the world. 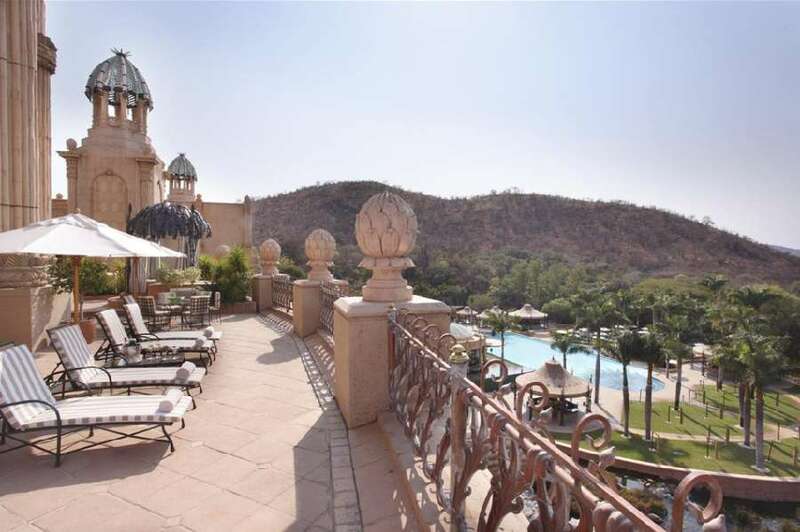 Guests are treated like VIPs with unparalleled 5 star service, amidst the cliff-tumbling gardens, sparkling streams, waterfalls and swimming pools. 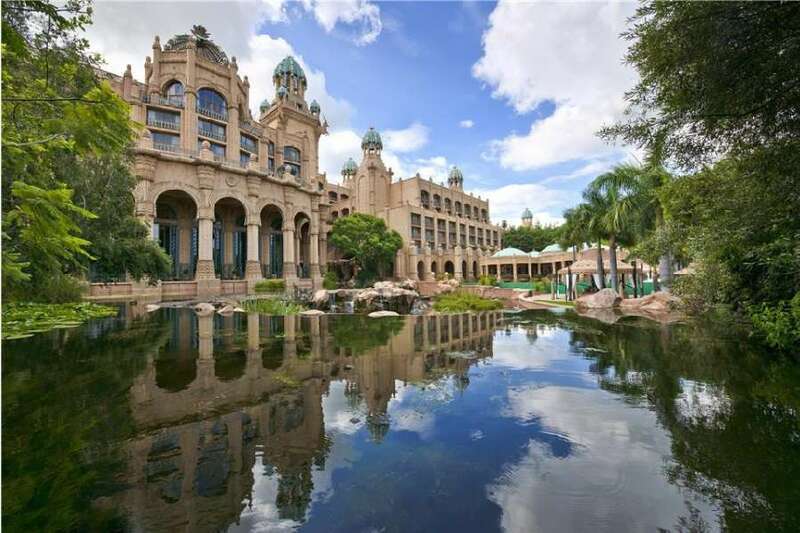 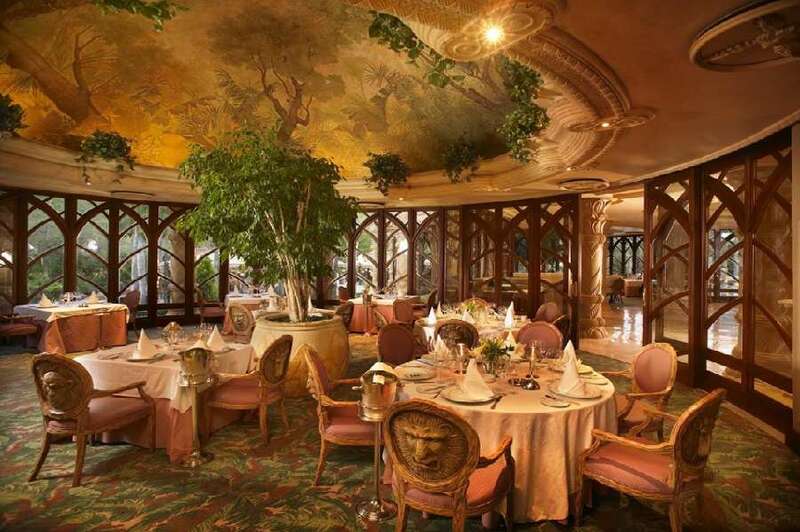 Luxurious in every aspect of its architecture The Palace of the Lost City is adorned with exquisite mosaics, frescoes, hand-painted ceilings - works of art you would find nowhere else in the world. 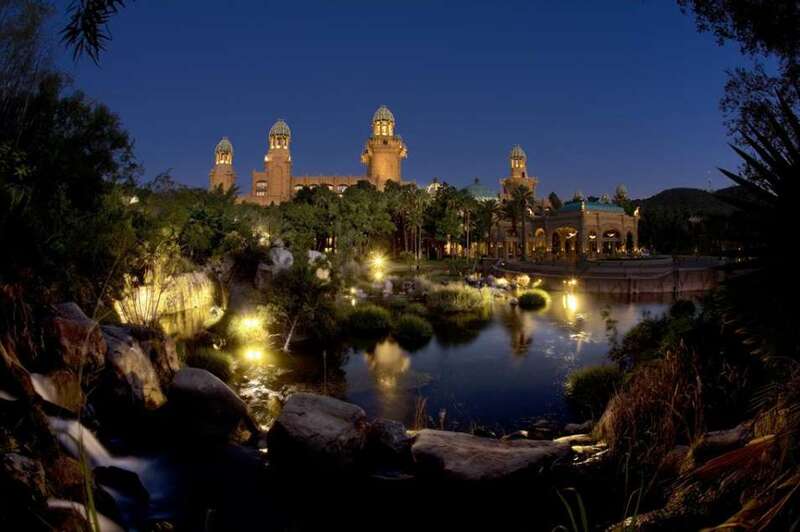 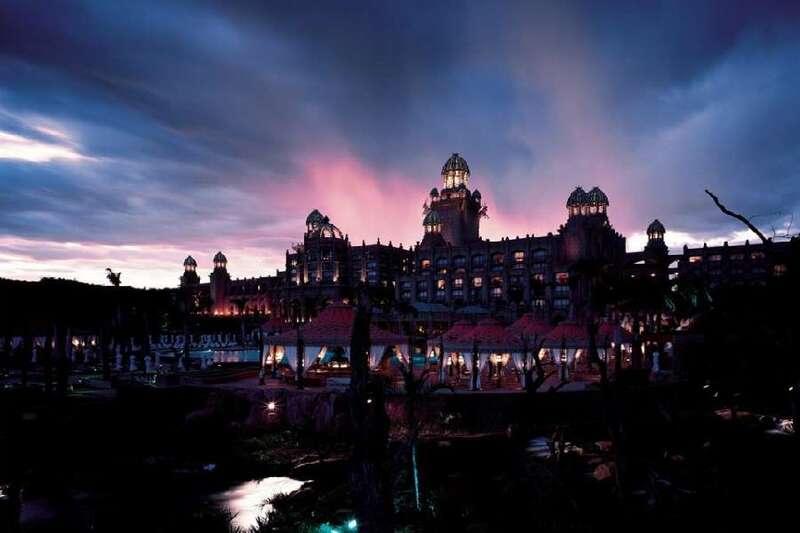 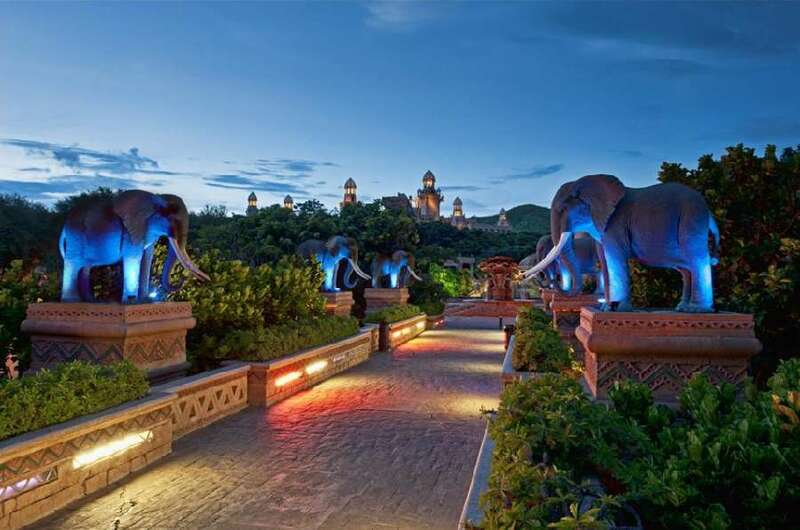 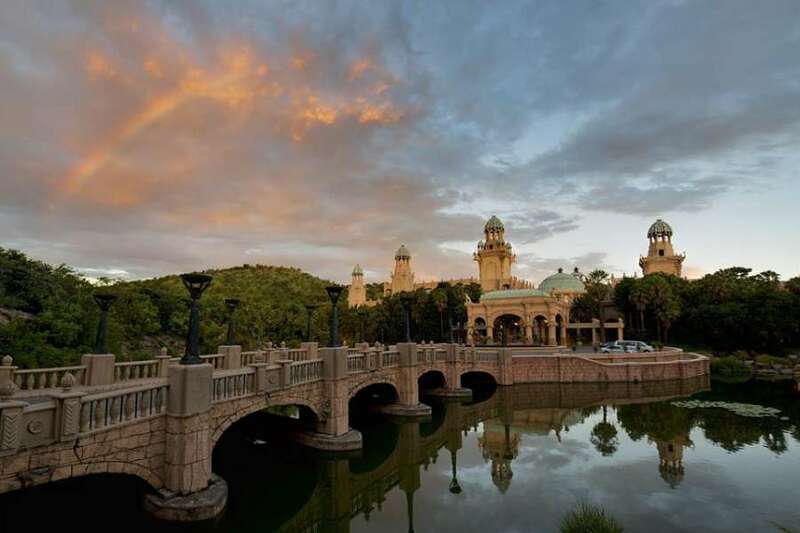 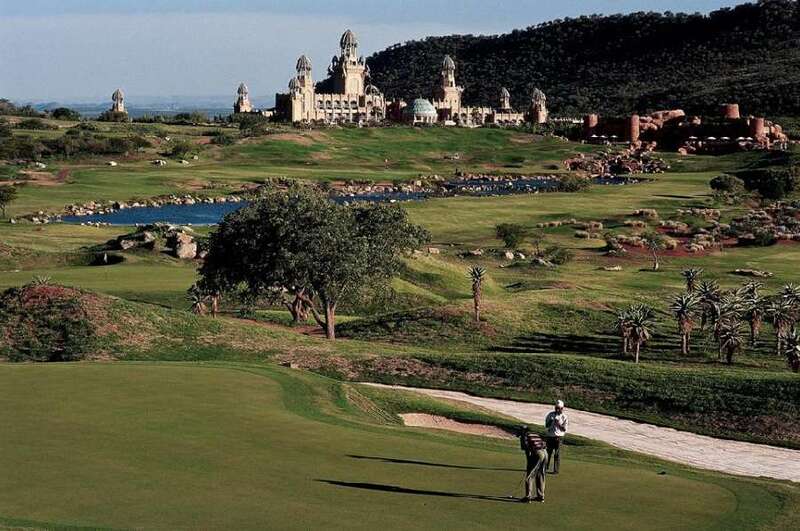 The Palace of the Lost City can only be described as the seventh wonder dominating the skyline with its fine and extraordinary charm. 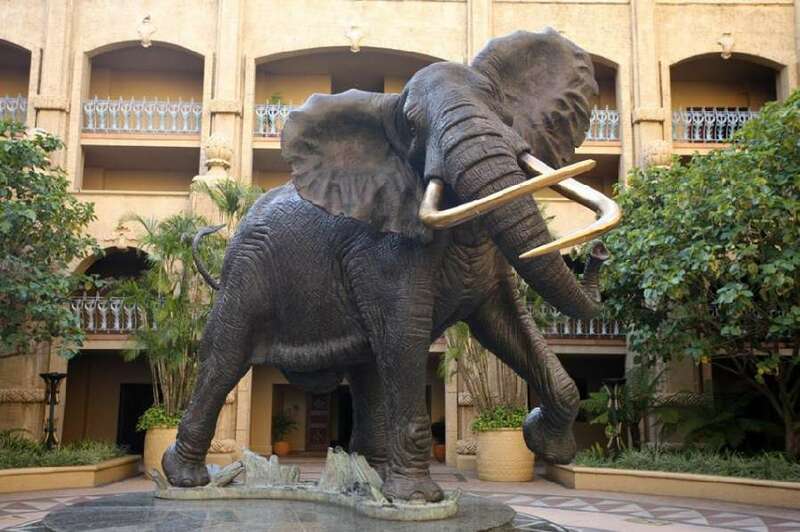 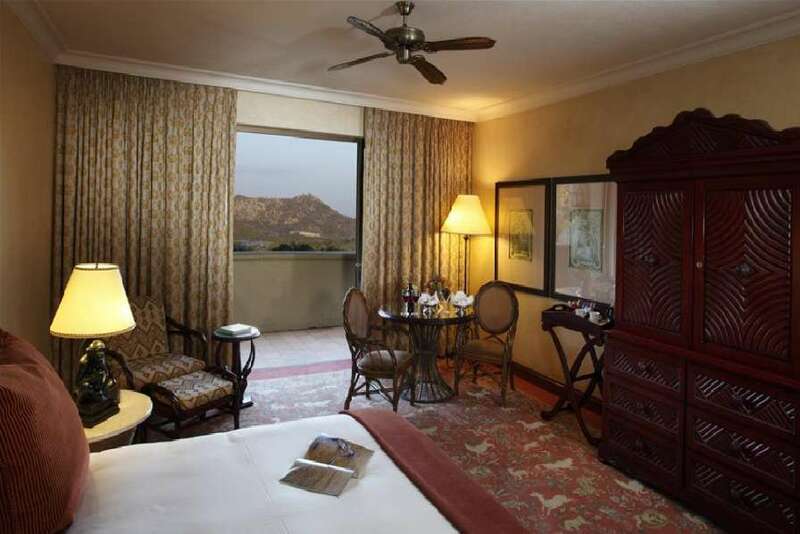 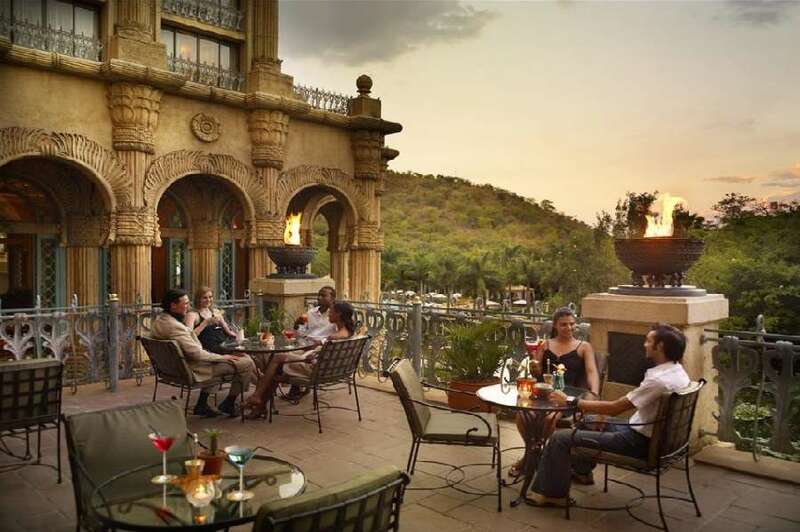 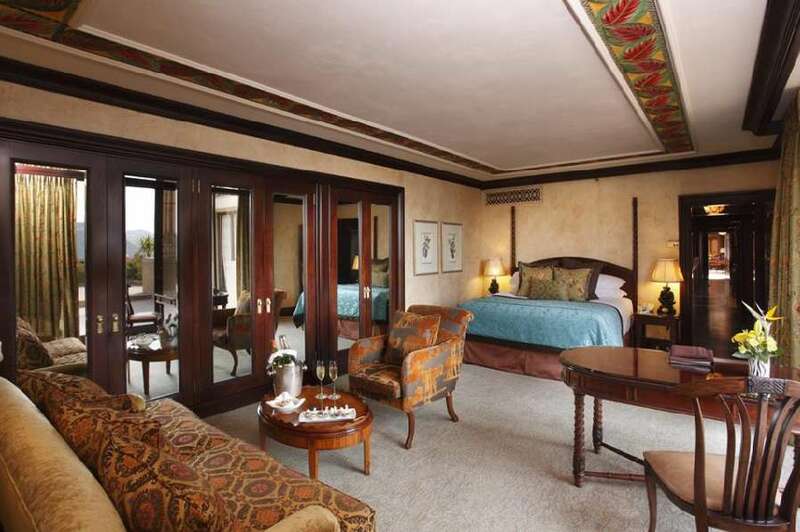 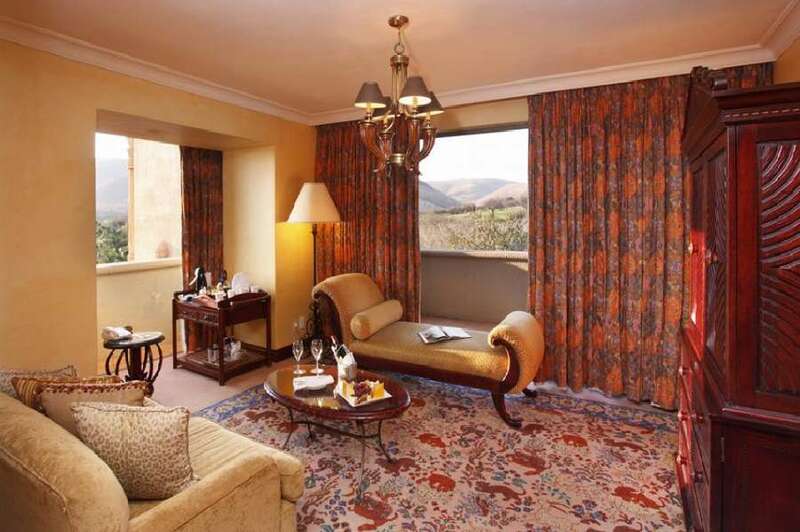 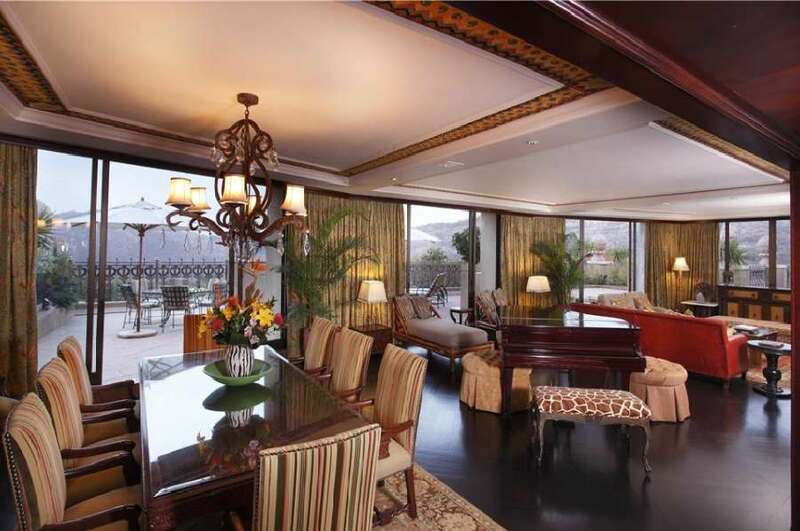 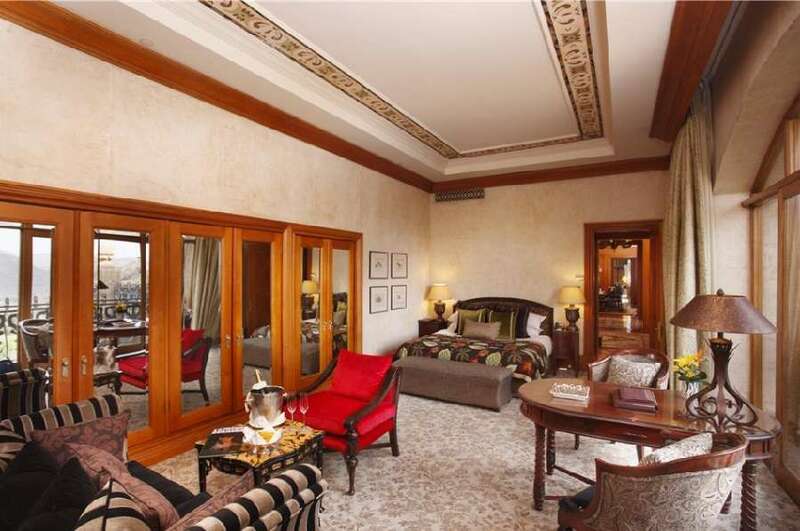 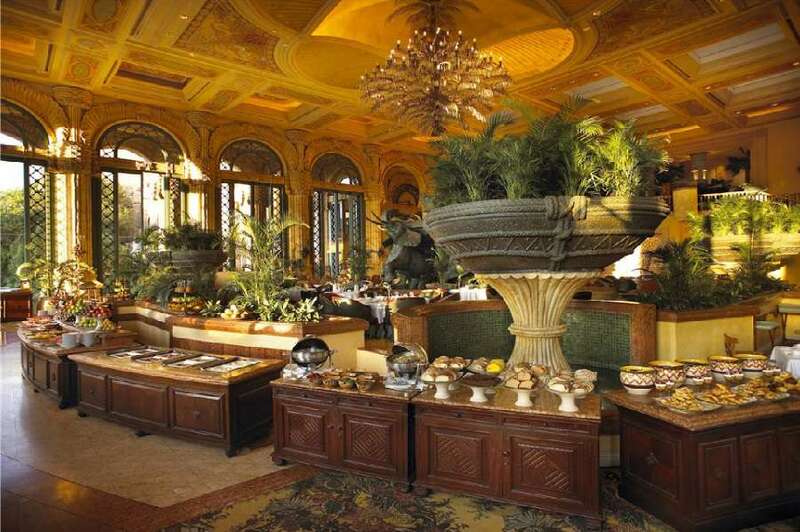 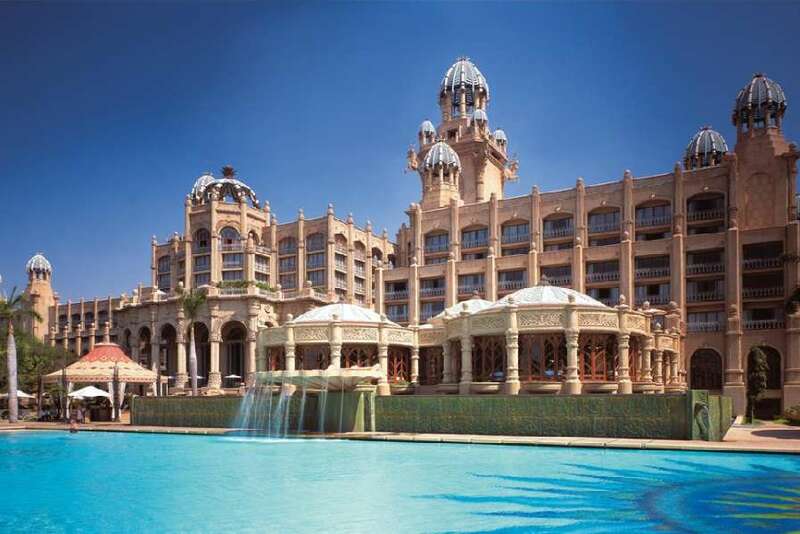 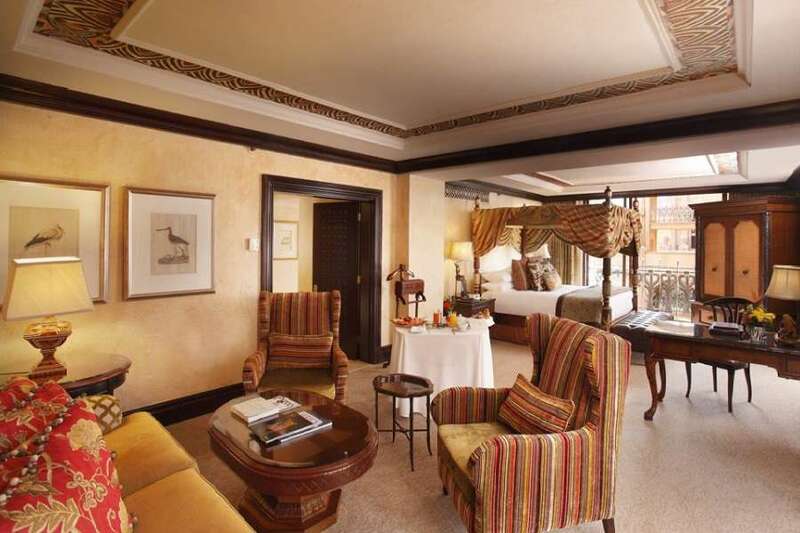 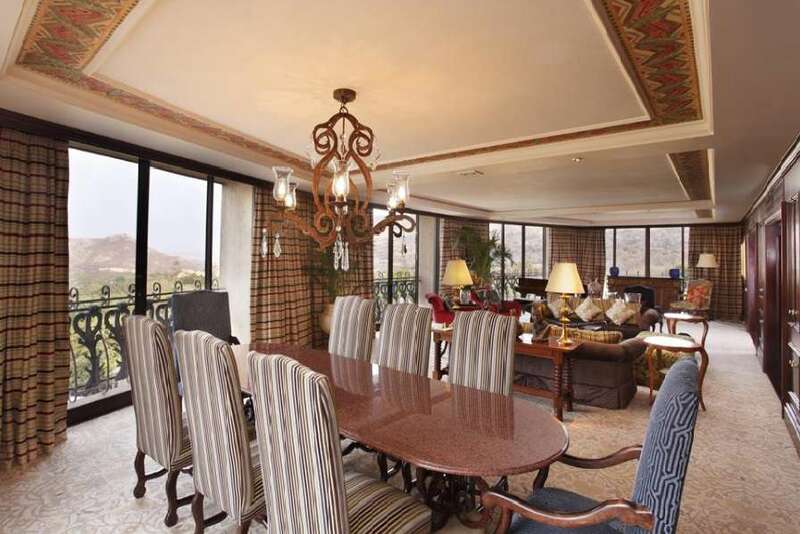 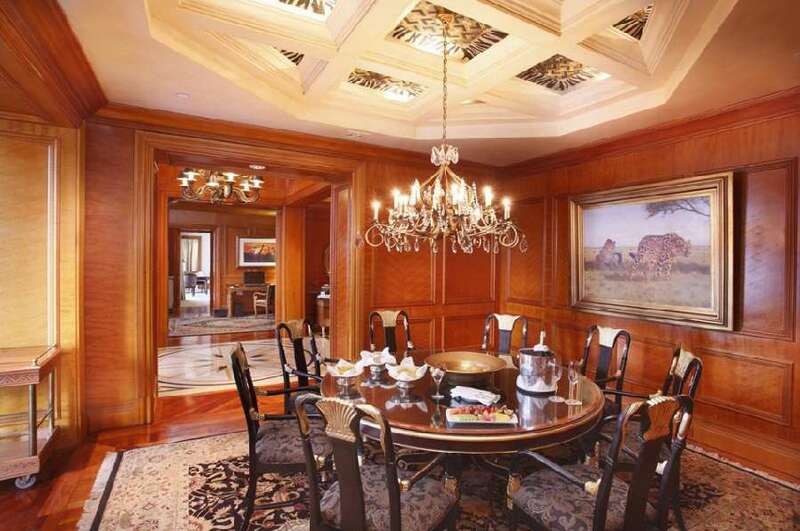 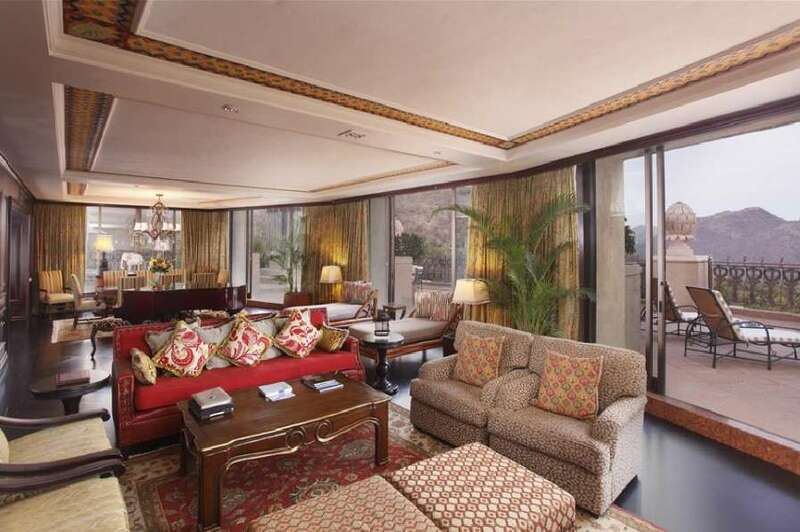 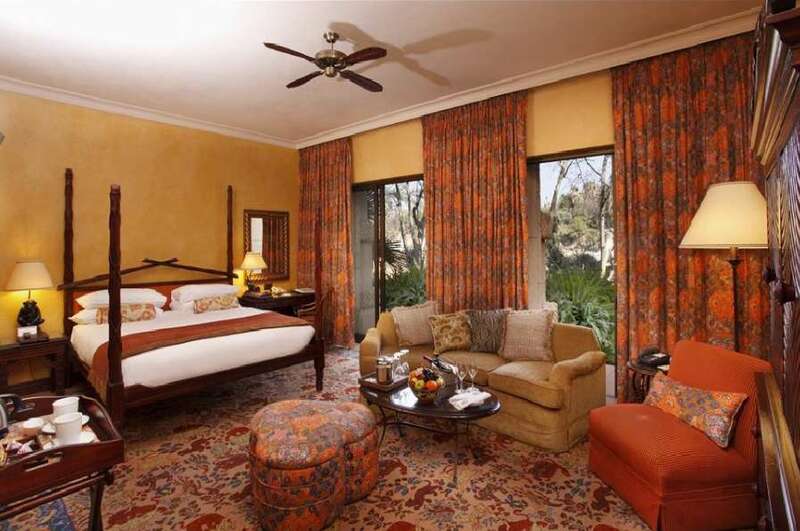 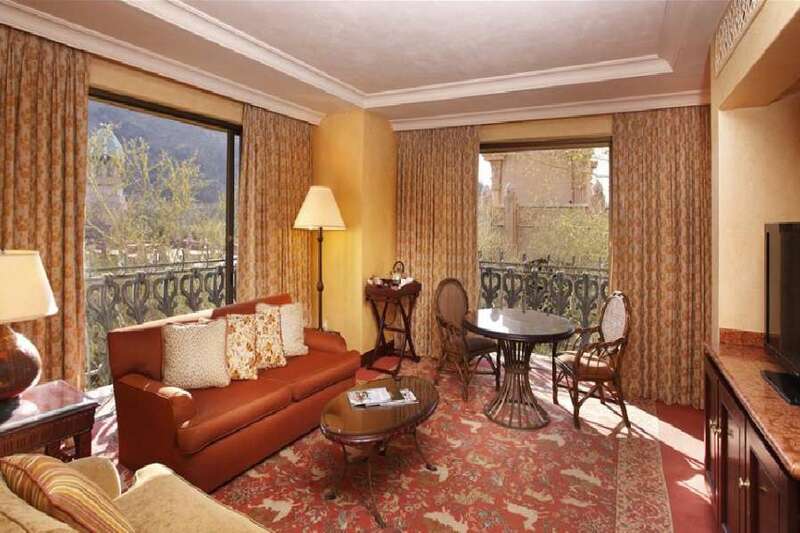 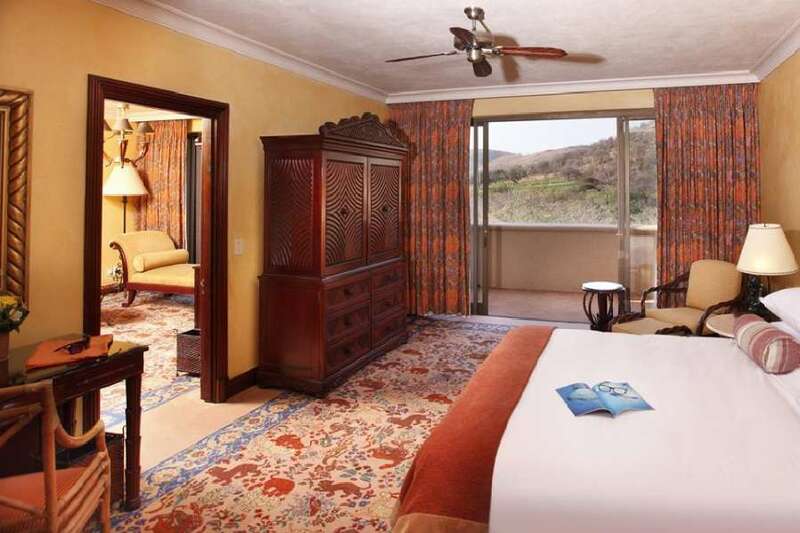 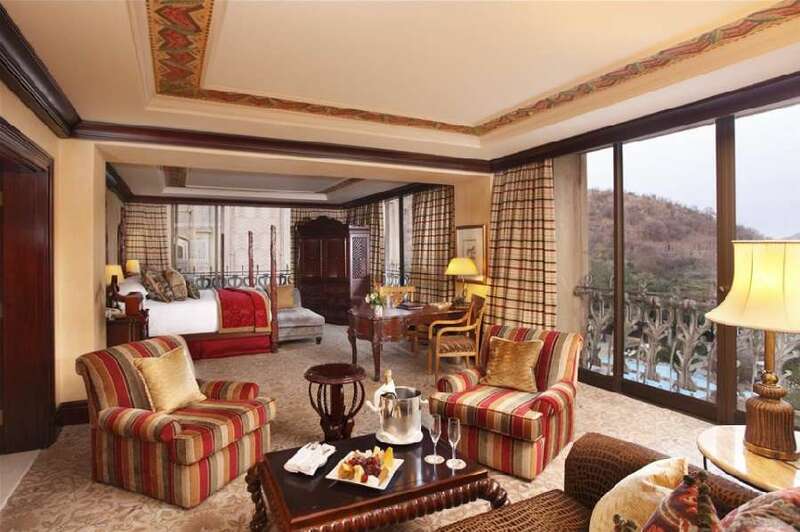 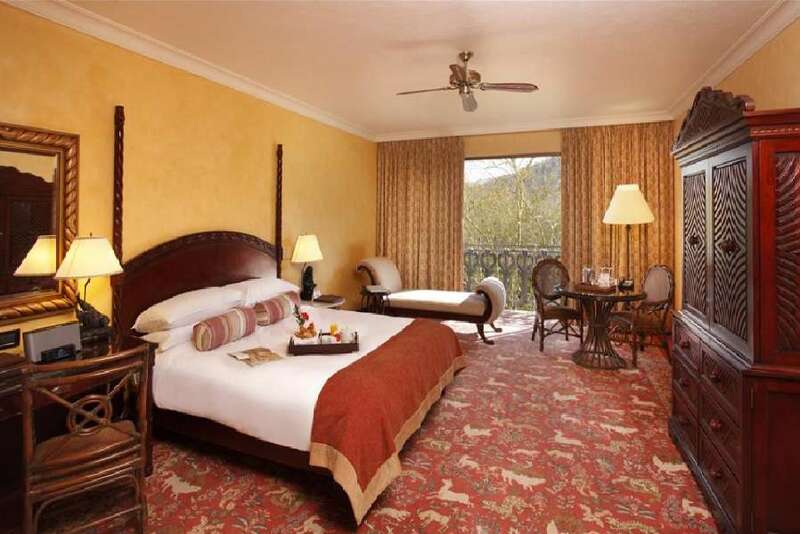 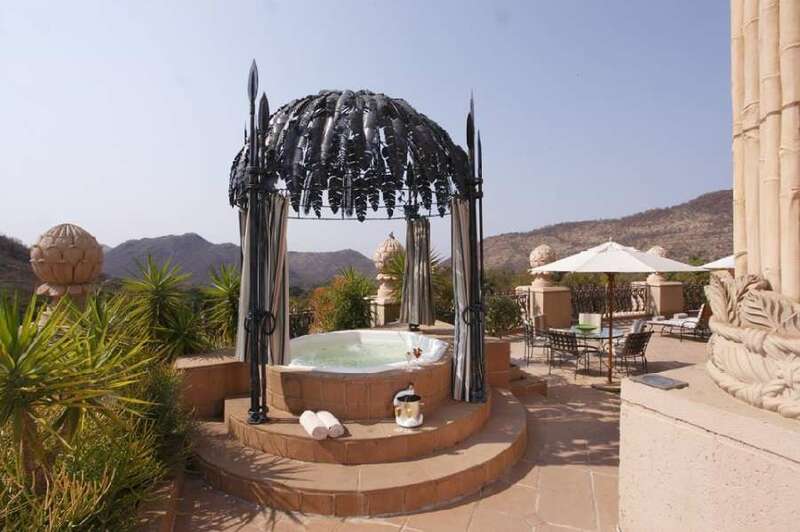 at The Palace also feature a sauna and Jacuzzi bath, while the African Suite has an additional Jacuzzi on the terrace. 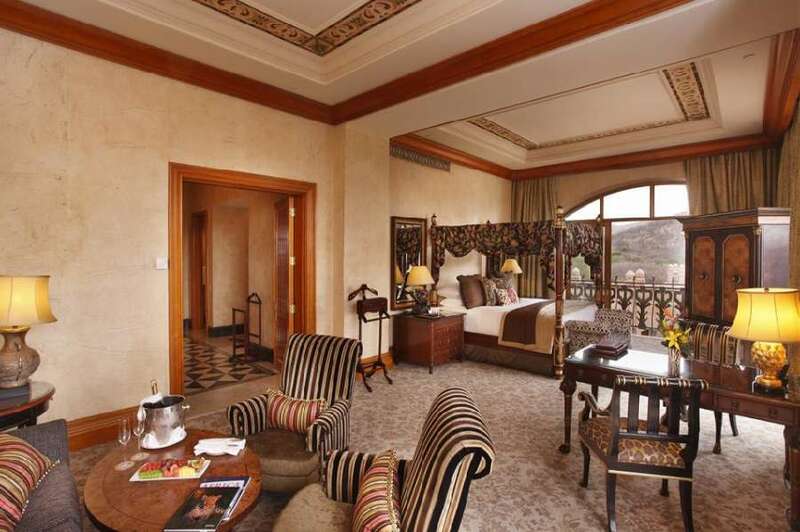 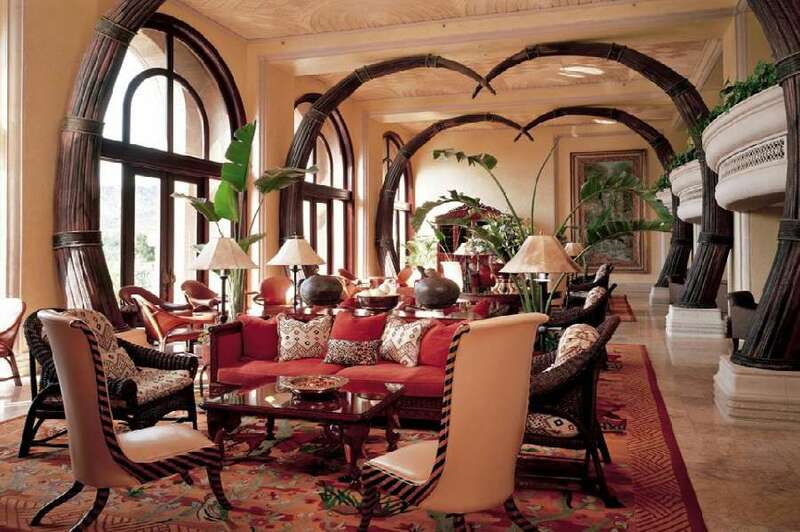 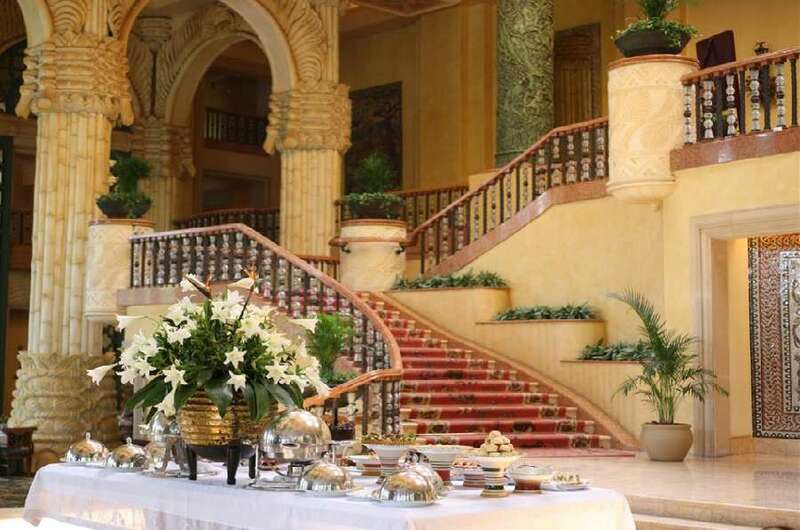 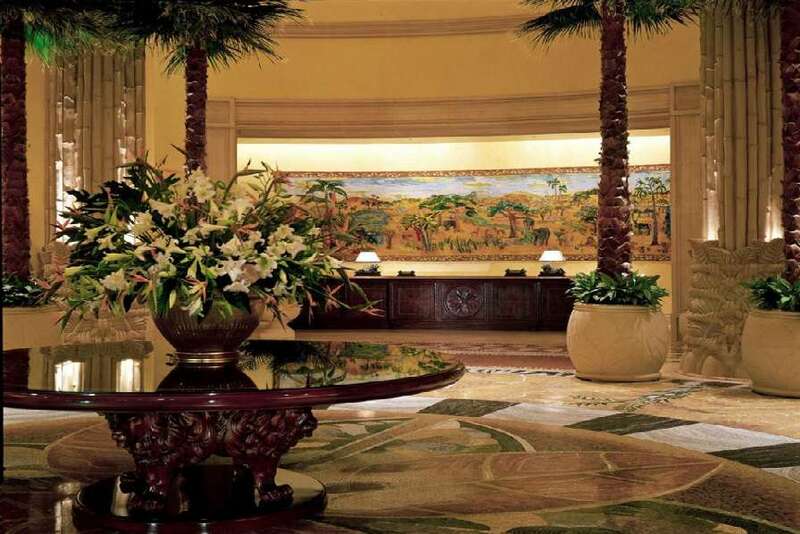 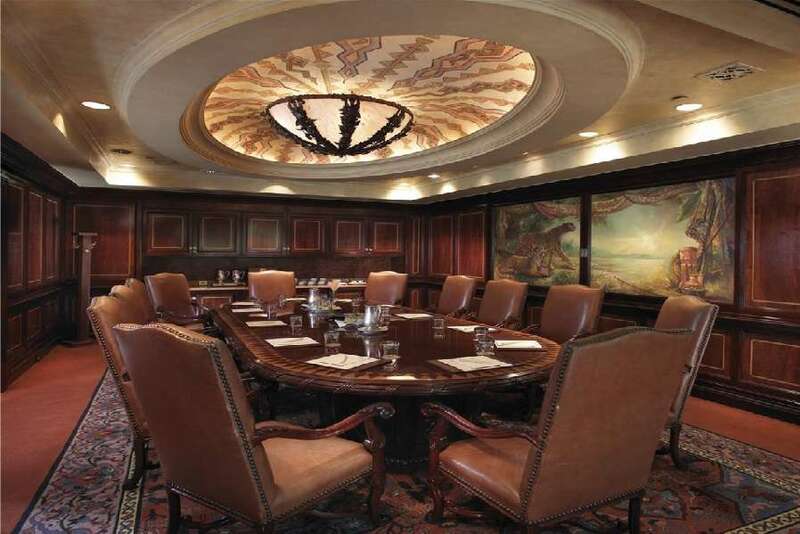 All standard rooms at The Palace have entrance foyers, en-suite bathrooms, lounge or seating areas. 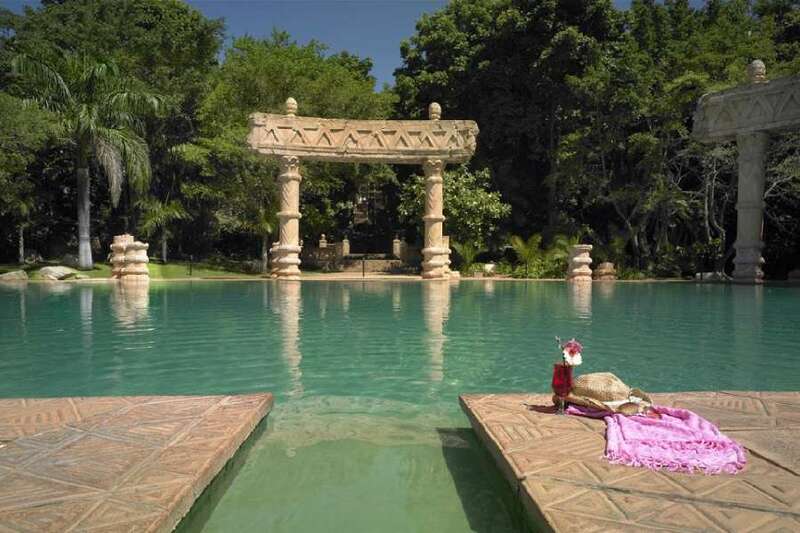 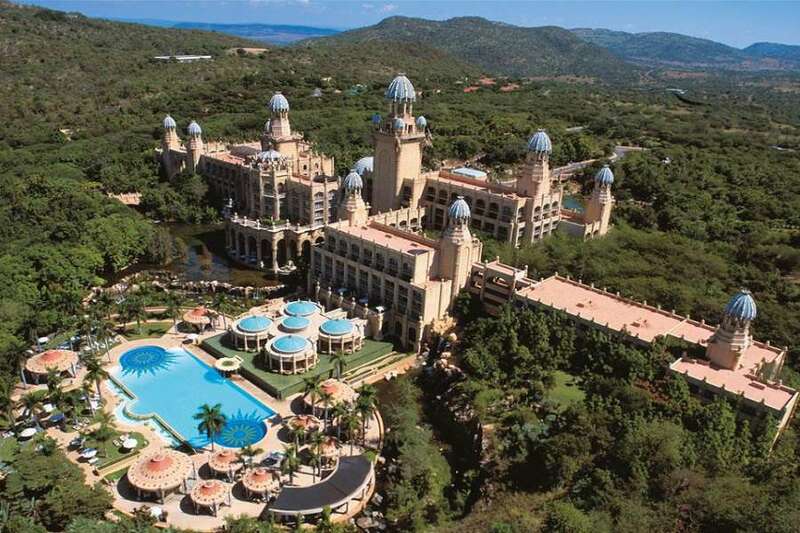 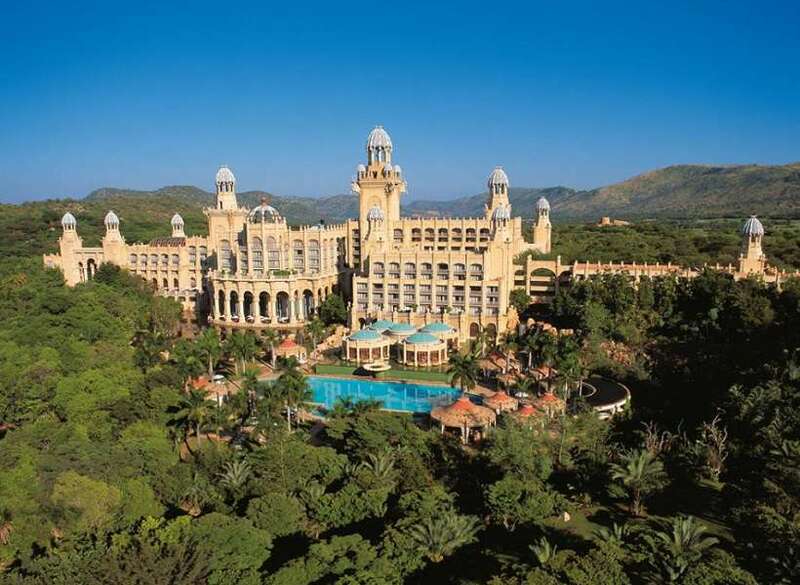 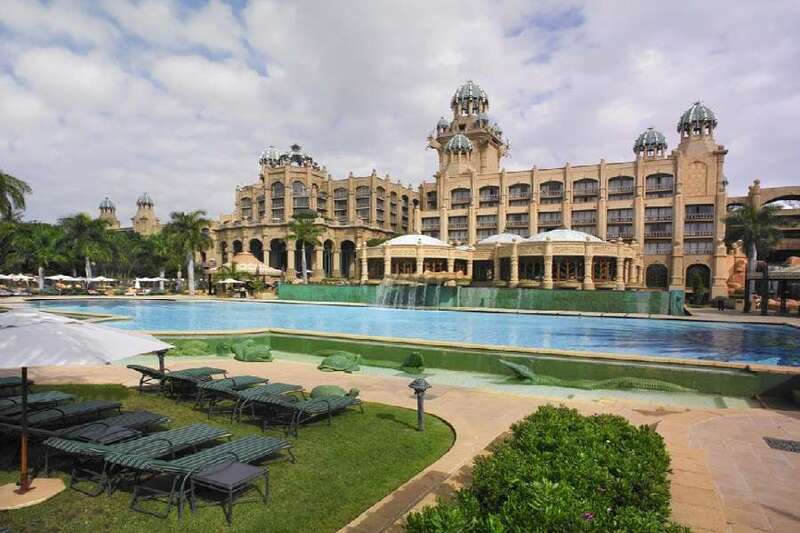 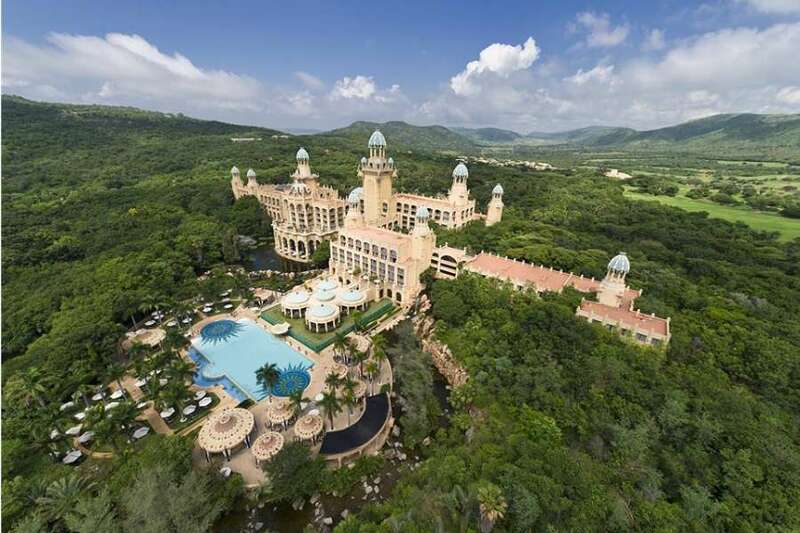 At The Palace of the Lost City there is never a dull moment and guests can swim and frolic in the waves of the only sub-tropical water adventure park in South Africa - the Valley of the Waves.